Always a great day when there is Big Star-related news to share! 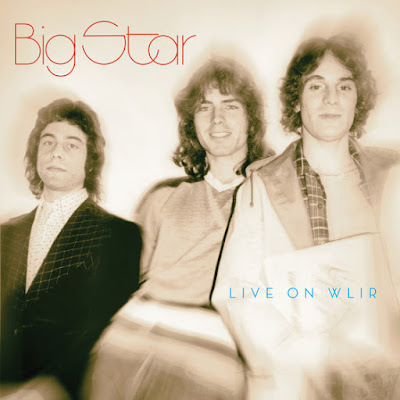 That set was preserved, as Big Star recorded a radio session at Ultrasonic Studios in New York for broadcast on the city’s preeminent modern rock station WLIR-FM. Nearly two decades later, those recordings were issued as Live in 1992.Omnivore Recordings will reintroduce them, restored and remastered from the original tapes, as Live on WLIR, on CD and in its first official release on double LP. Street date is January 25, 2019. The 15-track set features material from the band’s first two albums, as well as a cover of “Motel Blues” by Loudon Wainwright III (which originally appeared on his 1971 sophomore release, Album II). With new, updated liner notes from Memphis writer/filmmaker Robert Gordon (who won a Grammy® for his essay in 2010’s Big Star box set Keep an Eye on the Sky) and an interview with John Lightman by Chris Bell biographer Rich Tupica (There Was a Light: The Cosmic History of Big Star Founder Chris Bell), Live on WLIR enters the Big Star canon in the form it deserves.